Oracle VM VirtualBox is an industrial-strength open source virtualisation tool that makes it easy to create virtual machines (VMs), simulated computers that run on your PC but act as though they were separate systems. It's a powerful capability that has many different applications. If you'd like a closer look at Windows 7 before you upgrade, for instance, then you could install Microsoft's latest in a VM, then access it in a window on your XP or Vista desktop. Or maybe you've upgraded to Windows 7 and find a favourite old app doesn't work any more? Create a Windows XP VM and you might be able to run it again. - Modularity. 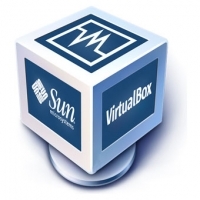 VirtualBox has an extremely modular design with well-defined internal programming interfaces and a client/server design. This makes it easy to control it from several interfaces at once: for example, you can start a virtual machine in a typical virtual machine GUI and then control that machine from the command line, or possibly remotely. VirtualBox also comes with a full Software Development Kit: even though it is Open Source Software, you don't have to hack the source to write a new interface for VirtualBox. - Virtual machine descriptions in XML. The configuration settings of virtual machines are stored entirely in XML and are independent of the local machines. Virtual machine definitions can therefore easily be ported to other computers.